We're glad to have Erik back at his second Somerset. Fueled by his interest in medieval history and fantasy literature, Erik Ask-Upmark started playing folk music when he was a teenager and took up piano and harpsichord. His friend built a small harp and asked him to try it out and he was hooked. At the same time he took up the Swedish bagpipe. Nordic music became his passion and lead to his solo debut album "Heaven's Polska", which was critically acclaimed and the first CD in Sweden ever featuring only Nordic music on solo harp ! Erik has has earned the coveted title of "Riksspelman" (Master musician of the Realm in Sweden) and also plays the Baroque double harp with ensembles such as Concerto Copenhagen and Ensemble Mare Balticum. He performs early music and Nordic traditional music both as a soloist and with his groups Svanevit, Dråm and Falsobordone. He lives at the tip of Sweden and is just about an hour from Copenhagen and has given concerts and workshops across the Nordic countries and Europe as well as the West Coast and Rio de Janeiro, among other places. He led an impromptu Scandinavian folk dance last year after the Friday night concert that we're going to make a "thing" this year. Donna began learning to play harp to escape an extremely stressful job. That job is now gone and Donna owns her own private therapy practice, Coaching for the Voyage, in Maryland. Harps live in her office and clients can play whenever they want or request a song or two. Donna is also a Certified Music Practitioner through the MHTP program. 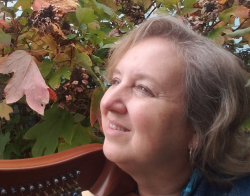 She has played at local nursing homes and hospitals and incorporates this knowledge of music into her treatment of individuals with mental health challenges. 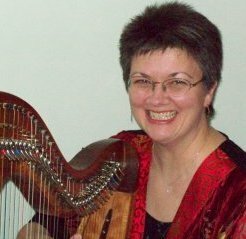 Donna has competed for many years in the Scottish Harp Society of America (SHSA) harp competitions and was the 2016 recipient of the SHSA Travel Scholarship. She is now on the SHSA Board of Directors. Donna is also the newsletter editor for the Washington Area Folk Harp Society and the founder of the Southern Maryland Harp Circle. She is the co-founder of Creative Purpose providing training and programming to individuals and businesses to elicit their inner creativity in order to enhance productivity and personal well-being to meet their respective goals. This is her first year as a festival presenter. We welcome Eduardo Betancourt to his first Somerset. He is a Grammy-award winning Venezuelan multi-instrumentalist with 25 years of experience in traditional and fusion Venezuelan music. He grew up in a musical family in Venezuela, where his love of folk music took root with folkloric radio programs coming into the house. His Latin Grammy was for a collaboration with Ilan Chester and he was nominated again in 2016 for an album with Rafael "Pollo" Brito. He has done more than 100 recordings and performances with renowned international Latin music artists and has given workshops and master classes all over the world. He was a guest instructor last year at the Berklee School of Music in Boston in the Latin Minor Studies program. He currently collaborates with the Venezuelan Project, a Latin Jazz group. 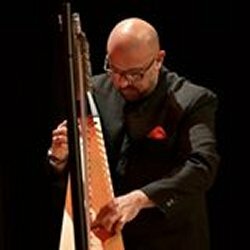 Eduardo is as comfortable playing the traditional folk harp, the llanera, as he is an electric harp (Electric Llanera and Camac EC harps), all in the service of making music that connects traditional with the contemporary. His workshops for us will introduce many to Venezuelan music styles as well as improvisation and creativity. “My Muse, tho' hamely in attire, May touch the heart." said Robert Burns. There is nothing ‘hamely’ about Debbie’s artistry as a musician and singer, and the combination of these skills with her passion for Robert Burns results in music that echoes ‘the wood note wild’ as Burns describes the natural and unpretentious singing he liked best. An experienced performer and teacher, Debbie’s repertoire also includes many traditional Scots ballads and Scottish jigs, reels, and strathspeys as well. She is also an ordained priest in the Episcopal Church, her current congregation being in nearby Sparta, NJ. To date, she has three solo CDs, Dream of Caledonia, Roots and Wings, and Love Came Down at Christmas, a mix of original and traditional songs. Cofounder, with Kathy DeAngelo of the Harper’s Escape, she was on staff at the Escape for all of its 24 years and co-authored the Escape tunebooks, Ten Years of Tunes, Another Ten Years of Tunes and The Parting Glass). Debbie has also published three song and harp arrangement collections: Burns for Bairns and Wood Notes Wild and her newest Harp of My King, a compilation of Celtic Tunes New & Old for Christian Worship, which also includes a CD companion. She created our Basically Beginning program in 2009. This year, she and Carol Thompson team teach our second Beginner's Boot Camp on Thursday. This year she will also be doing the Beginner group for the Harpers' Escape at Somerset Sunday program. At home in two cultures, Nicolas Carter was raised in Asuncion, Paraguay, where he learned to play the Paraguayan harp and later in Minnesota. His principal teacher Isidro Caballero (Father to Paraguay's harp genius Nicolasito) taught him in the traditional folk style of learning by ear, an “ideal way for me to learn, every note I have to hear and feel it.” Playing professionally since 1988 in a variety of settings, as accompanist to singer Lizza Bogado, to playing in a various trios and groups from “Son del Sur” (Song from the South, Latin-American folk music), and “Los Amigos” (traditional Mexican music) to ” Nube” (New World Fusion). As a solo harpist, Nicolas has had concerts in Europe, the United States, and Latin America. Nicolas combines his passion for music with a deep interest in theatre, and indeed, holds a Master of Fine Arts degree in Theatre Direction from the University of Minnesota. His CDs, more than a dozen, reflect the several musical idioms from Latin to Fusion in which he is fluent. Nicolas recently moved back to the U.S. from Paraguay and now is based in White Plains NY and gigs all over . 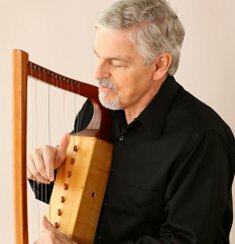 Ron Cook is presenting at the Historical Harp Society's conference on Sunday. Ron Cook has been performing medieval and Renaissance music for over 40 years. 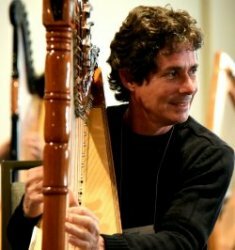 He has presented on early music and historical harps at many festivals all over the world, including at the Boston Early Music Festival, the Berkeley Early Music Festival, the Amherst Early Music Festival, and the International Congress on Medieval Studies. 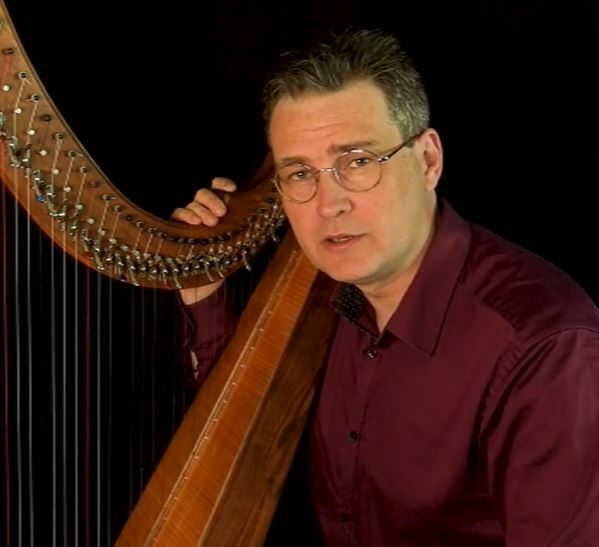 In addition to his 2013 book, The Early Medieval Harp: A Practical Guide, which covers nearly everything about 12th and 13th century harp, Ron has published numerous articles on historical harps as well as writing about Arabic and Andalusian music. He's California born but now lives in Columbus, Ohio where he has led the early music ensemble, Early Interval, for 38 years. In 2016 he was the recipient of the Early Music America Laurette Goldberg Award for lifetime achievement in early music outreach.